In fall, 2011, I was playing with some 'junk' that I had around the house. presented themselves as a great material to be turned into something else. and suddenly they weren't light globes anymore. 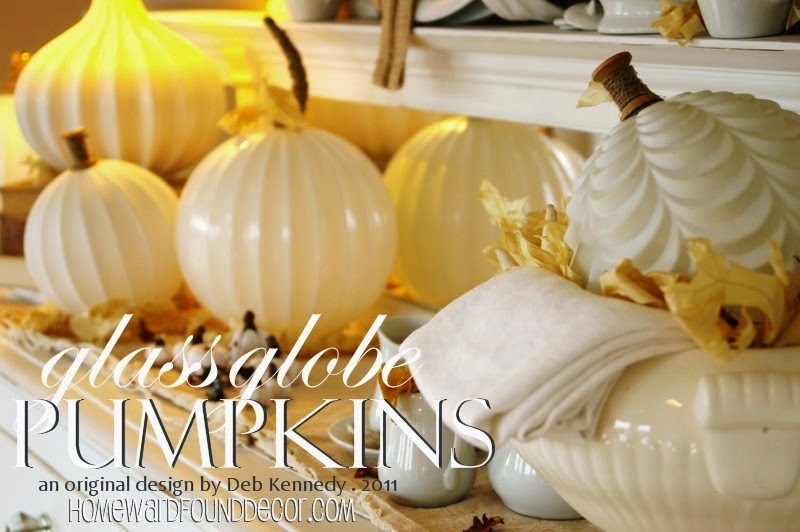 they became Glass Globe PUMPKINS! 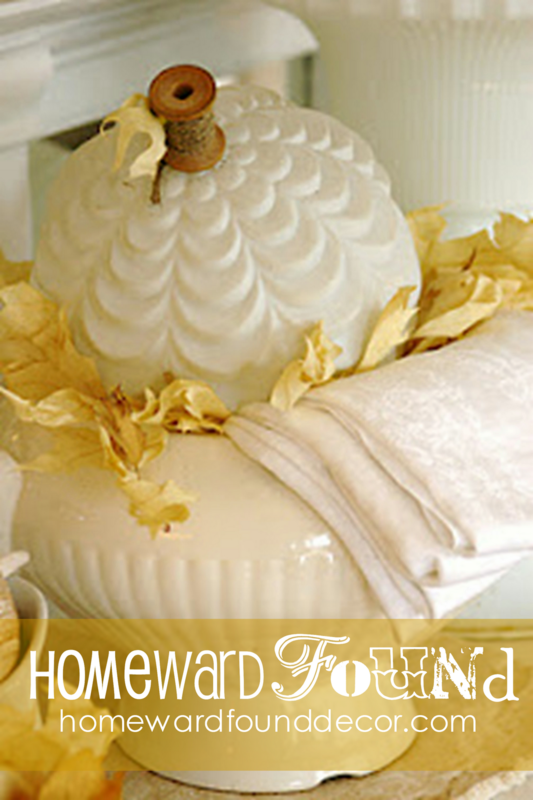 these are SO simple to make for your own fall decor - they are one of my original 'Fast, Cheap & Easy' TM ideas! 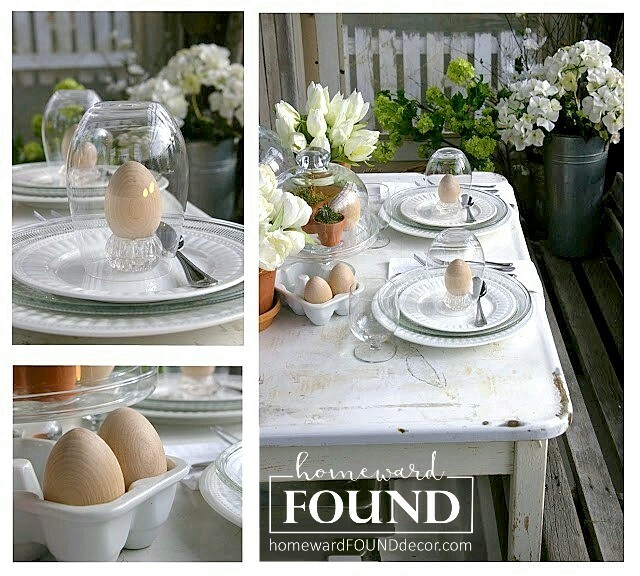 all you have to do is find some white glass globes. but please do not steal them from your neighbors' porch lights!!! carefully wash the globes in soapy water, and let them dry. then add a 'stem' on the end of the globe that has a small hole (or no hole). the end of the globe with the large opening will be the base that it sits on. 1. twist a bit of aluminum foil into a 'stem' shape - long or short, up to you. push one end of the foil stem into the small hole at the top of a glass globe. or any other material around the foil to hide it. use hot glue to adhere the material to the foil stem as you work from base to tip. then bend the stem into a pleasing curve, and you're done! 2. hot glue a wooden thread spool to the top of a glass globe without a small hole. wrap some string, twine, burlap, muslin, or ribbon remnant around it and tie a knot. 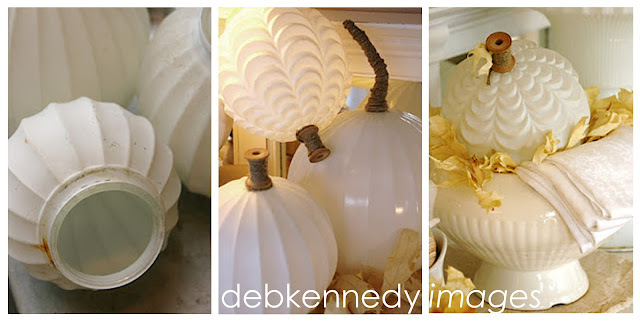 you can display these pumpkins indoors or out! they will light up a room or porch with a soft glow. please do not use a flame to illuminate them. and imagine how grandpa would smile if he could see them. I hope these make you smile, too! 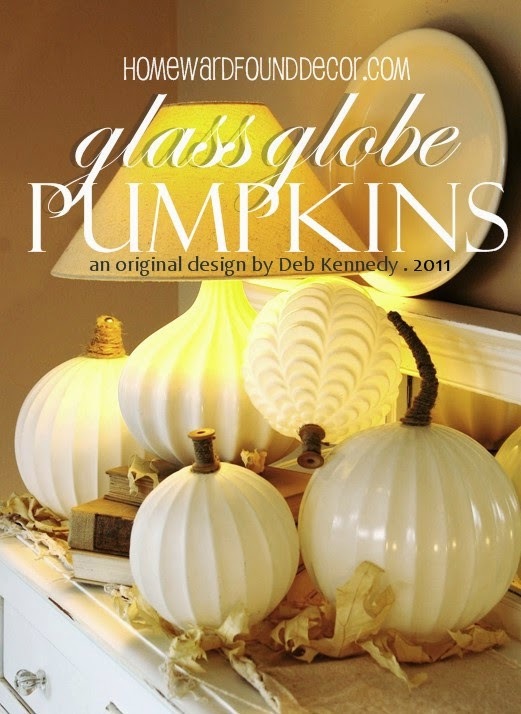 Want MORE great pumpkin ideas from Deb? You are so talented, Deb! I'm starting to think that there is really nothing you cannot do! UTTERLY fabulous! Great idea Deb Kennedy!! Will be attemtping for Fall...OH - that's so soon - best be looking for the globes! What great and fabulous ideas...can't wait to try this! 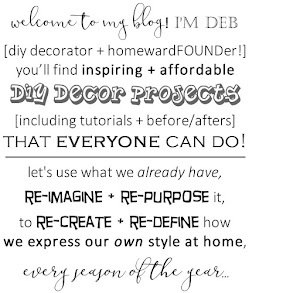 They are fabulous, found you through pinterest and am now a happy follower, love your blog! those are so cute! great idea!! Very creative! They look fabulous, re-purposed as pumpkins! I love these!!! 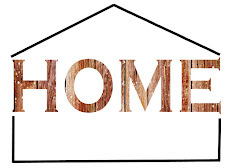 I just found you on HomeTalk and am now following you with GFC. Please come over and check out my blog and join too if you like. Oh my, this could turn out to be a global phenomenon! I'm retrieving some 1970's globes out of the barn and thinking of stem ideas! Such a creative thinker you are, thank you for sharing! So glad I found your blog! You can come visit our little country life anytime you please!! Love all your pumpkins! New Follower. 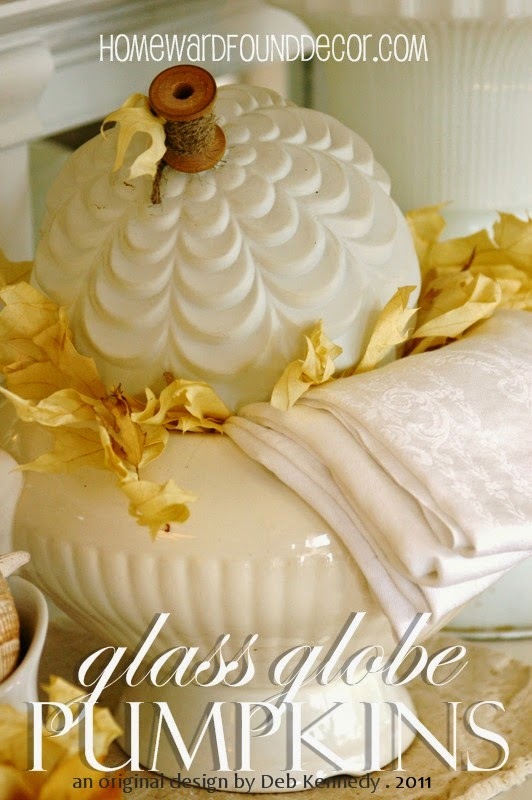 Wow - these glass pumpkins are gorgeous! 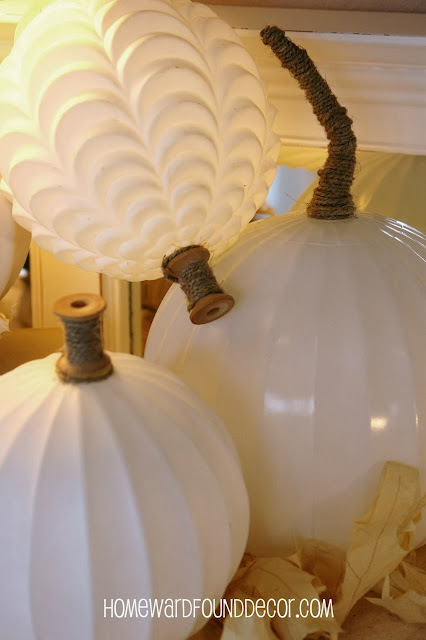 I know you mentioned on the Where Women Create FB page that this post has gone viral already, but I still just HAD to add it to my Pumpkin Tutorials Pinterest board. Lovely, truly lovely! Yup, I am so stealing this idea! LOL Love it! Brillant idea! I love to turn things around and think of new ways to use them. I love love love your pumpkins! I'm going over to the resale shop this morning to get some light globes so I can take one to my sister in law when we go visit this weekend. I can't imagine a better hostess gift for her. I am adding you to my Pinterest boards. oh my gosh, I am loving these. they are gorgeous, and such a neat idea with the globes!